One of the areas you should definitely explore while in Iceland is the Reykjanes Peninsula. It offers some truly majestic landscape and sometimes you honestly feel like you’ve landed on the moon. I got the chance to explore the Reykjanes Peninsula on a private tour of the area and I’m so thankful I did. I was super pumped before I entered the cozy and comfortable minibus that I would be traveling in, as we headed to the Blue Lagoon, one of Iceland’s most sought after tourist attraction. Once there, I got to soak up the magic of this one of the wonders of the world. Even though the place is full of people you never feel crowded. I thought that maybe I would feel a bit drowsy after soaking in the geothermal paradise but instead I felt rejuvenated and ready to take on the rest of the peninsula. I had a great day at the Blue Lagoon. As we started our journey to the Reykjanes Lighthouse we were greeted with too many rainbows to count – a real premonition of what was in store. When we got nearer to the lighthouse the surroundings were more reminiscent of the moon than a place that people actually call home. Such magnificent nature is hard to find on this planet and it was pure joy just to sit in silence, look out the window and imagine how this lava, which is hundreds of years old, flooded over the fields in all it’s magnificence. At this point I was so thankful for my wonderful guide because he knew when to give me, and my traveling companions, interesting knowledge about everything and anything but he also knew when to keep quiet and just let us enjoy the ride. But nothing could prepare me for the marvel that is Reykjanes Lighthouse. I fully understand now what it means when something is breathtakingly beautiful because this area left me breathless and totally lost for words. I recommend taking the steep climb to the hill where the lighthouse once stood if your legs can take it. The view is absolutely mesmerizing and on a good day you can see all the way to Eldey island. Just be careful to watch your step so you don’t fall off the steep cliffs when admiring this captivating scenery. Our next stop was the boiling mud pools of Gunnuhver. I only have one word for that: Wow! Such power! Such overwhelming power! If you really want to feel utterly powerless to nature I urge you to visit Gunnuhver. You can really feel the ghost of Gunna and how angry she is about her murder which happens some odd 400 years ago. Again, watch your step! There is a reason why Reykjanes Peninsula is filled with warning signs. The nature is out of this world but this area also carries with it a great amount of danger and mystique. I guess that mixture of peril and occult is the reason why this part of Iceland is so fascinating. Before heading back to Reykjavík we stopped at the nearby town Grindavík and enjoyed some well deserved coffee and pönnukökur at local café Bryggjan. Pönnukökur is one of Iceland’s pride and joy and you can hardly find a grandmother in the land that isn’t an expert in the delicacy. Pönnukökur means pancakes but these are more like the French crepes than the American pancakes. You either stuff them only with sugar or really have a treat with whipped cream and jam in the middle. Utterly irresistible. We also took a scenic route by Grindavík’s coastline where we drove past ships that had stranded in the old harbor. In olden days the Grindavík harbor was one of the most dangerous harbors in the country and these ship wrecks tell a sad and powerful story. Our last stops were Grænavatn and Seltún. Grænavatn, or green lake, is really a place to stop at. Explosion craters that probably are over 6000 years old and have formed a beautiful, enchanting geothermal lake that is hard to see from the road. Please step out of the car at Grænavatn and just breath in the geothermal smell, that after this trip becomes more delightful than foul, and admire this nature surprise in the middle of nowhere. But don’t forget about Seltún which is one of the most beautiful places on the peninsula in my opinion. It’s a high temperature geothermal area which showcases such an array of colors that your mind boggles over the power of nature. And if you’re a Björk fan you can see where she gets her inspiration – both in her art and wardrobe. You can especially see Seltún’s influences in the art for her studio album Biophilia. When it was time to head back to Reykjavík I couldn’t believe that I had been on the road for eight hours. It had gone by way too fast and my senses were so filled with new experiences that I was greedy for more wonders. More breathtakingly beautiful moments. I urge you to take a trip around the Reykjanes Peninsula. It certainly is a trip you won’t forget and the tour is so intimate and comfortable that time just flies by. 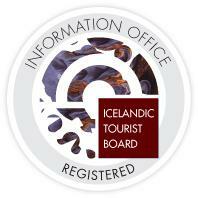 Book your private tour of the Reykjanes Peninsula right here.